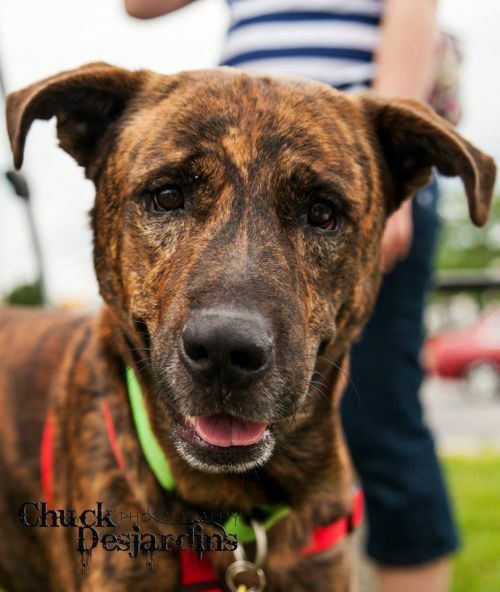 Catahoula Rescue-Ontario: Meet Zeus ADOPTED! Zeus is a sweet, sensitive boy with quite the ‘tail’ to tell. We have nicknamed him ‘Trooper’ because, even after all this poor boy has been through, he is the most loving, sweetest boy. Found as a stray, it didn’t take long to realize this shy guy needed a gentle hand and lots of love. Zeus is an approx. 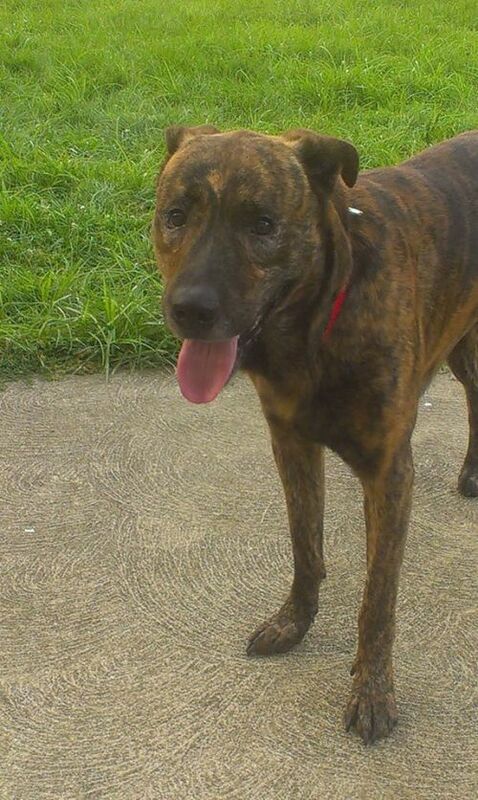 1.5 year old Mountain Cur mix (possibly some Anatolian Shepherd in there). He has the colouring of a Cur but the personality of an Anatolian. He is highly intelligent, learns quickly, is very loyal, and alert. Zeus is very watchful, however he is also very sweet, friendly, and happily greets newcomers to our home. He really is the sweetest, most gentle boy you'll ever meet. 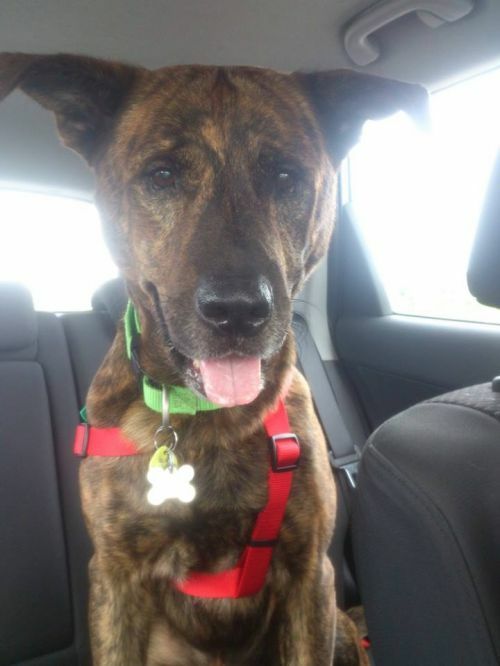 He is calm (almost lazy) in the house and fabulous on walks – minimal pulling, will walk right beside you, and nicely greets other dogs he meets. 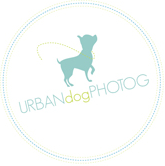 It is quite amusing watching him chase shadows and the light reflecting off his dog tags. He is like a cat with a laser pointer! 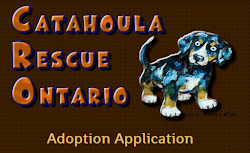 He was at risk of being euthanized until Catahoula Rescue Ontario saved him. He has crate anxiety so must be in an environment where it is safe for him to be left to roam the house. Zeus was about 76lbs when he came to us, but is still a bit thin. He should be between 80-85lbs. Zeus is neutered, up-to-date on all his vaccinations, and will be microchipped before going to his new home.